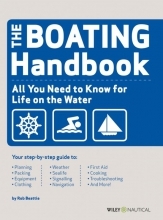 Section Three: Equipping Your Boat. Navigational Aids and Aids to Navigation. Section Five: Cooking and Provisions. Section Six: Activities and Skills. Ghost Stories, Sea Shanties, and Games. Section Seven: Pitfalls and Problems. Section Eight: References and Resources.